Wendy and Joe Priestner have owned their Newton home for 27 years. The house has four bedrooms, two baths, a wood-burning stove and a custom four-level deck. Their 2.67 acre property is heavily wooded and shares two borders with Swartswood State Park, which was established as New Jersey’s first state park in 1914. 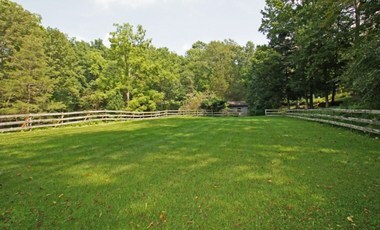 The property, right next to an equestrian trail, also has a paddock and a barn. “Through the years we worked extremely hard to maintain and improve the property, removing years of debris that littered both our land and the bordering state’s property,” Wendy Priestner said. In the spring of 2014, faced with getting older — Wendy is 71 and Joe is 80 — and some health problems, the couple decided to downsize. They found a buyer quickly. The closing date was to be June 20, and the Priestners went to contract on a townhouse for their new abode. But ten days before the closing, and while Joe Priestner was in the hospital recovering from open heart surgery, the couple learned they had a very big problem. “We were all packed and ready to move. The buyer’s engineers informed us that the right portion of our land encroached onto Swartswood State Park by one-third of an acre,” Wendy Priestner said. Without clear title to their property, both real estate deals were cancelled. Once Joe Priestner was released from the hospital, the couple went to work. 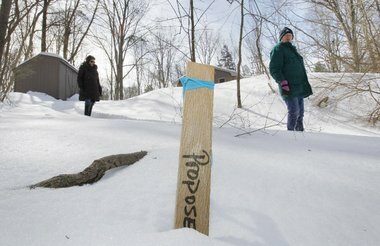 They notified Swartswood State Park about the encroachment. They were then referred to the Green Acres division of the state Department of Environmental Protection. The encroachments onto the state park land included: 1.4 feet at one corner of the barn, a horse fence in the lower paddock, 30 feet of the paved driveway to the barn and a wood shed sitting partially on state land. The septic system is also too close to the property line. All those items were erected by the previous owners, Priestner said, and the survey from that time, while accurate on the property lines, miscalculated how far certain landmarks, like the barn, were from the property line. The only work the Priestners did near the property lines was to pave the driveway, which was originally gravel, the year after they bought the home. They said they never considered consulting the survey because they driveway was an integral part of the home’s landscaping and appeared to belong to the property. They subsequently learned the previous owner never got permits for any of that work — the septic, the driveway, the barn, the fence, the shed. And somehow, none of those issues were noticed by the town, which issued a Certificate of Occupancy when the Priestners bought the house. “Somehow the town didn’t see any of these things,” Joe Priestner said. Going after any of the parties who were involved in the Priestner’s purchase of the home would be challenging, if not impossible. The surveyor who created the flawed survey was deceased. The title insurance company appeared to be out of business. “Apparently we do not, nor have ever had, clear title to our property, rendering it unmarketable,” Wendy Priestner said. The couple would give the state one-third of an acre from their other property line, which also borders state park land. In exchange, the state would give the couple the disputed one-third of an acre. The Priestner’s engineering company sent scale plans and aerial photos to Green Acres. “The integrity, aesthetics and value of the land would remain intact, and we could then gain clear title to our home and property,” Wendy Priestner said. Green Acres would only entertain a two-for-one exchange. The couple would have to give up two-thirds of an acre, and the state would give the couple the encroached one-third of an acre. Green Acres also would not consider selling the piece of property to the couple, nor would it consider giving an easement that would essentially give the couple, and future owners of that property, the right to use the land as it has been used since the home was built. They sent a letter to state senator Steven Oroho. His office made some inquiries, but Green Acres wasn’t going to change its mind, so it recommended the couple get an attorney. The Priestners did speak to several attorneys, who explained that legal fees for research and litigation with the state would be substantial and time-consuming, and there were no guarantees they would win. They also sent a letter to Gov. Chris Christie. That was several months ago and his office has not yet responded. The couple contacted Bamboozled for help. We reviewed the surveys, documentation and emails between the Priestners and several state officials. Then we asked the Department of Environmental Protection to review the case. While DEP took a look, we considered the couple’s options. Under certain circumstances, someone can come onto land they don’t own, occupy it and gain legal ownership. This is called “adverse possession.” But in New Jersey, adverse possession doesn’t apply to state property. Then there’s the title insurance company. If something is missed — including this encroachment issue — the title company would bear responsibility, said Anthony Vignier, a Kearny-based attorney. The Priestner’s title company was Lawyers Title Insurance Company, they said, but they didn’t have a copy of their policy because it was destroyed when their attorney’s records room was flooded. We did track down a similarly-named company: Lawyers Title Insurance Agency. It left the state in 1991, and it’s based in Richmond, VA. No one from the company — or Fidelity National, the company that owns Lawyers Title — returned our calls. So on Friday, the couple contacted Fidelity to request a copy of their policy. If it is the correct title company, the Priestners would have a case — as long as they’re willing to enter what could be expensive and long litigation, Vignier said. There also could have been a malpractice case against the surveyor, but he’s deceased. Suing the previous owner probably isn’t a possibility because it seems time has run out. 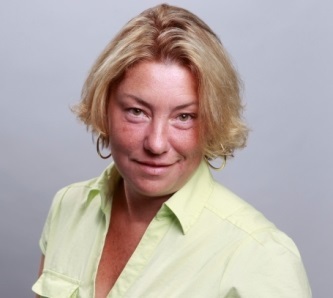 “The maximum statute of limitations in New Jersey on any cause of action is six years and therefore, has expired a long time ago,” said Debra Eckert-Casha, an attorney with Casha & Casha in Montville. The only other option may be for the couple to accept the two-for-one deal. If the couple doesn’t want to litigate, investing time and money with no guarantee, there may be no other choice. When we heard back from DEP, it wasn’t what the couple was hoping to hear. “We’re trying to work on a solution that may be able to help the homeowners with their situation,” DEP press director Bob Considine said. At the same time, Considine said, the couple’s earlier survey clearly shows where their property line ends. He said the easiest solution is not a land swap of any kind. Considine said if the couple won’t remove the pavement or erect a fence, DEP will continue to work with them to come up with an acceptable proposal for a land exchange. But, he said, any proposed exchange would have to meet a minimum of a two-for-one ratio and will require the approval of the State House Commission, which only meets quarterly. He said a one-for-one swap would “set a bad precedent, particularly when we have literally thousands of residential properties bordering our state parks,” he said. We shared that with the Priestners, who said they realize this mess isn’t the state’s fault, but they say it’s not their fault, either. They said they would not remove the driveway because it would make the barn and the lower part of their property inaccessible. They also said they’re not amenable to erecting another fence, but they would agree to moving the existing fences if the property lines were adjusted. The couple also said worrying about the future and those who may trespass intentionally should not be part of their negotiation. Plus, she added, the couple willingly came forward to state park supervisory personnel once they learned of the encroachment. Otherwise, the state would not even be aware of the issue, she said. We shared those comments with DEP. So the saga continues. We’ll let you know what happens.